Niets is vervelender dan de buurman die ‘s nachts met zijn dikke auto (Ford Mustang) de straat in komt rijden als je net ligt te slapen. Daar weet Steve von Foerster, voormalig hoofd van Vehicle Engineering bij Ford Motor Company, alles van. 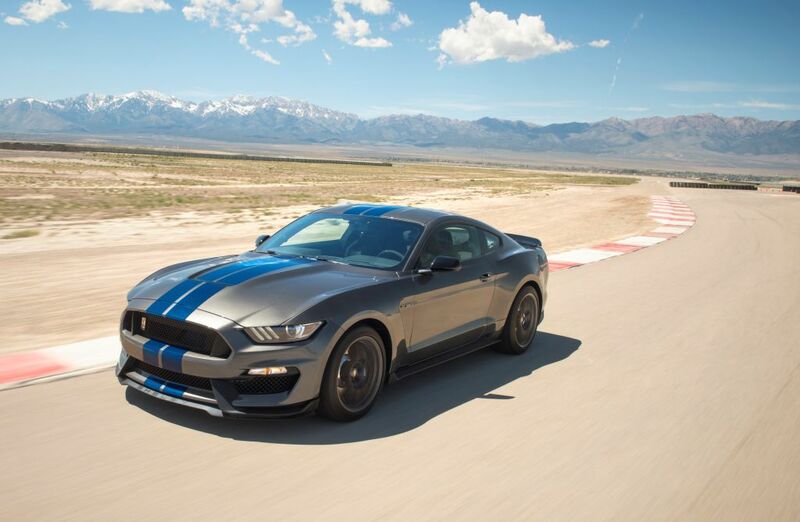 Hij was bijna bekeurd voor het overweldigend geluid wat zijn Ford Mustang Shelby GT350 produceerde toen hij op een vroege ochtend terwijl iedereen nog sliep weg reed, en een van de buren de politie belde. Oké Steve von Foerster was hier niet blij mee, maar kon het wel begrijpen. Maar kwam door dit gebeuren op een geweldig idee en dit is nu werkelijkheid geworden, n.l. de ‘Good Neighbor Mode’. Hij legt hieronder uit hoe het werkt. De 2018 Ford Mustang is tevens eerste auto waarbij je een bepaalde tijdsduur op kan geven in het menu, terwijl andere merken alleen een uit of aan modus kennen. Someone called the cops on Steve von Foerster. The former head of vehicle engineering for Ford Motor Company wasn’t thrilled, but he understood why. On an otherwise peaceful morning in his suburban Detroit neighborhood, von Foerster had just backed a Shelby GT350 Mustang out of his driveway. As the car’s V8 engine thundered, an annoyed neighbor set aside their coffee cup and dialed 911. Von Foerster had left before the officers arrived, and he didn’t end up with a ticket. Nor did he get angry. What he got was an idea for the new Mustang. 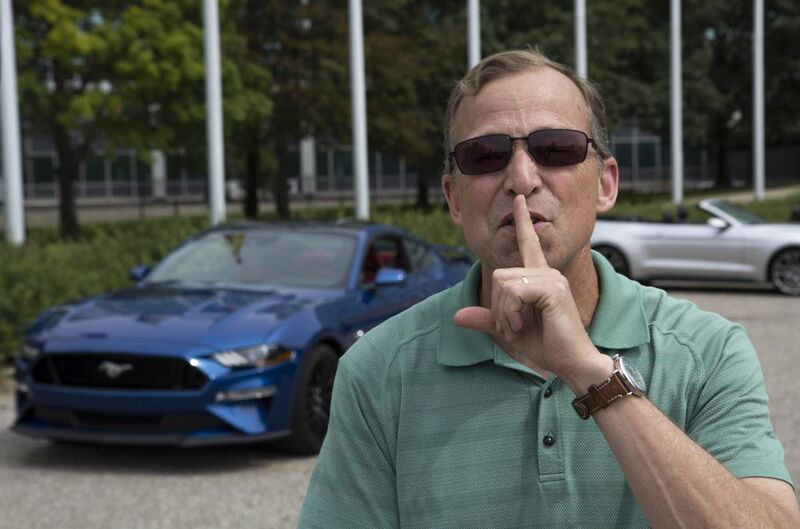 The experience fueled a discussion between von Foerster and fellow Mustang program team members that led to development of Quiet Exhaust mode and industry-first Quiet Start, known as “Good Neighbor Mode” among Mustang engineers. The new features on properly equipped 2018 Mustang GT vehicles allow drivers to keep engine sound at a minimum if they wish and to program quiet start-up times in advance. While some sports cars offer active exhaust systems with on/off functionality, Mustang’s Quiet Start is the first to allow scheduling of times. Using steering wheel-mounted thumb controls, drivers toggle through a menu in the instrument cluster to select when they want to fire up their Mustang GT without sharing the event with neighbors. For example, between 8 p.m. and 7 a.m., drivers can keep the peace by scheduling their car to start, minus the roar. Both new Quiet Exhaust mode and Quiet Start features will be part of the available active valve performance exhaust system on the new Mustang GT, along with different exhaust volumes for Normal, Sport and Track modes, giving customers more choice than ever before. The 2017 Ford Shelby GT350 Mustang has won Kelley Blue Book’s kbb.com Best Resale Value award for high-performance cars. “Active valve performance exhaust gives Mustang owners the best of both worlds – that classic Mustang sound, and the ability to not wake up your neighbors when you leave the house early in the morning or arrive home late at night,” said Matt Flis, Ford exhaust development engineer. Neighborhoods across the country should be thrilled. According to a recent poll by Ranker.com, loud engine revving ranks among the most annoying noises neighbors make, alongside other common nuisances including power tools, barking dogs and band practice. Only early-morning lawn mowing is more robustly despised. With new Quiet Exhaust mode and Quiet Start, Ford is doing its part to keep the peace. In honor of National Mustang Day, Ford announces that the most track-capable, street legal Mustang ever built is back for another lap. On Mustang GT equipped with the available all-digital 12-inch instrument cluster, the exhaust mode menu appears within the pony menu. With the standard 4-inch cluster, exhaust mode is found within the settings menu. Active valve performance exhaust is one of many changes Mustang fans will see when cars reach showrooms later this year. 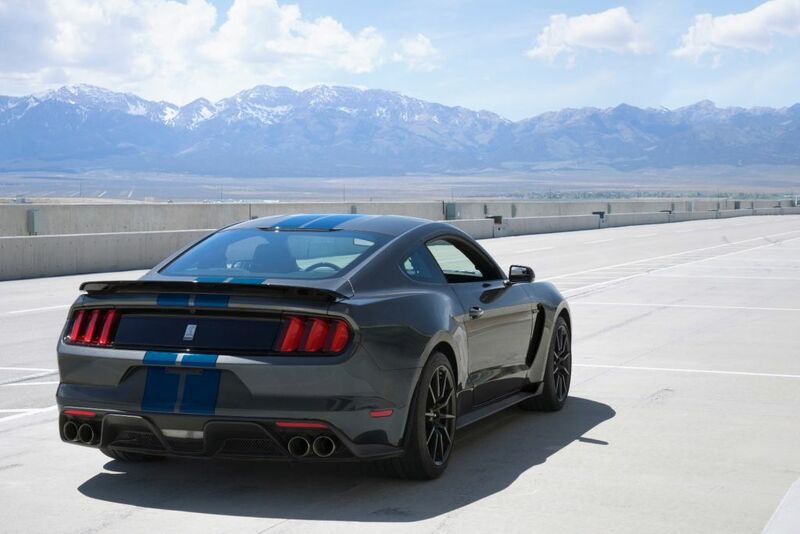 In addition to its restyled exterior design and refined interior, Mustang will offer an all-digital 12-inch instrument cluster, a 10speed automatic transmission, MagneRide™ damping system and SYNC® Connect with FordPass™. With its new Drag Strip mode, Mustang GT now reaches 60 mph in under four seconds – faster than a $94,000 Porsche 911 Carrera – setting a new standard as the quickest Mustang GT ever.